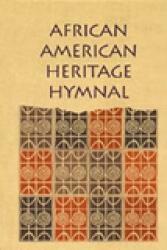 Raise money to pay for your hymnals and recognize the donors with these handy bookplates! The affix directly to the book, creating a loving memorial that will remain in church for years to come. Fund-raising envelopes are available at a nominal price (5400ENV). They have been formatted for use with the Avery Label 5168. There are empty text boxes below the words for you to fill in what you need. Just click under the words "Gift of" or "In Memory of" and your cursor will be placed in the text box.